But there are a few more specialists who haven't gotten behind that little detail yet. HI It's looking relly good. Can't wait to see it finished. Thanks for the comment, I shall be starting in earnest again tomorrow, and shall start to post again, really looking forward to it. Your F 16 is looking good so far. What scheme are you going to paint her up in? Thanks for sharing and hope to see more progress soon. This is a lovely looking jet Ian. 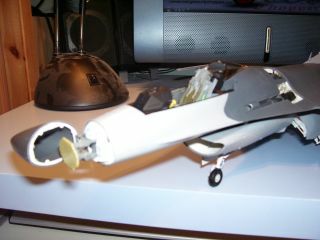 Just a quick note, today I finished the landing gear assembly, oob, at last. A lot of little peices to make a good loking set of legs. 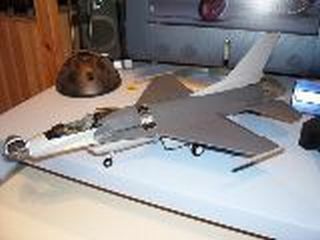 I put a base coat on the lower half of the fuselage and wings too. I will hopefully post some more pictures by the weekend. Makes me want to have a crack at a jet myself. 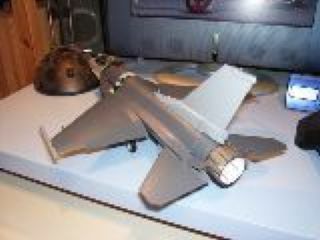 I put paint on the bird today in the light grey underside, and all the other parts that are the same colour. I have also started to paint the munitions, which are a slightly darker shade of grey. I think tomorrow I will get the top half painted too, so then I will post pictures so you can see some progress as she starts to look like a falcon! 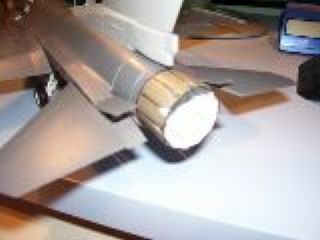 I am going to start also tomorrow with the paint and assembly of the engine, and the radar, which will be on display. What stopped build? Work and stuff, kind of lazy too I guess. What do you think would help you build get through to completion: Persiverence and some time to myself to get it done. I have taken some pictures at last. I think I may beat the dead line at this rate. Yeehaw!!! I think the 100k we are allowed to use for uploads is abit tight, I can only get one at a time in. Oh well. Here's another one. Why can't I see the picture??? HELP. I think your picture trouble may be due to saving them as .bmp bitmap files rather than jpegs. This is how she looks at the moment, I am now going to concentrate on panel lines and weathering, and then decide which armament to put on. I also have a few gaps to tidy up. HI The photos are kinda small but what I see in them is looking great. You have me thank about starting the one I have but OH yes I have a full work bench at the moment. I guess I'll just have to wait a while. Same old, same old, just a little bigger. Disaster has struck though, when I was fiddling with it earlier I dropped her. I have to cement the rear stabiliser and and one air brake to get it back. Also I have to re position the nose cone. Doh! Mighty unhappy. I think when I used Irfanview, it has ruined the image quality? How weird.